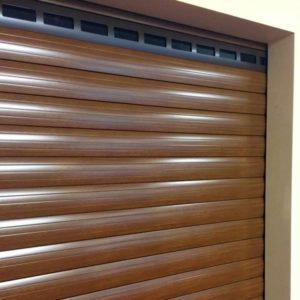 Garage roller doors are one of the most popular solutions when it comes to storing cars in private houses, but they also find their use in manufacturing halls and warehouses. They are dependable and solid, but what is really crucial when it comes to their usefulness is how quickly they can be opened. 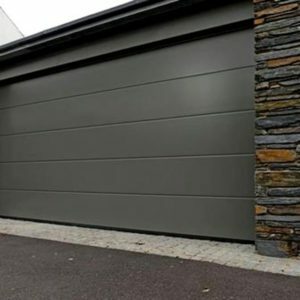 The process of closing and opening the garage roller doors is fully automated, what means that the person parking the vehicle does not need to get out of the car to do that. A simple click on a remote control is what it takes for them to be shut. Our company produces two types of entrances for a typical garage—roller and sectional doors. Both of them are available in a multitude of colours that help in matching the product with the elevation of the house. Garage roller doors are a great way to keep the building properly insulated and in turn, save on heating expenses. They are made from resilient materials and successfully protect cars and the rest of the house from burglaries and the weather. We kindly invite you to get acquainted with our portfolio, where you will be able to see some of our projects.